A post on chocolate eggs and bunnies a week after Easter? Perhaps it's a testament to how busy we were during the holiday. Or maybe the fact that sitting at a computer for more than 45 minutes gets me nodding. Instagrammification might also be the culprit. But anyway... Here it is! Our 2014 Easter Collection! 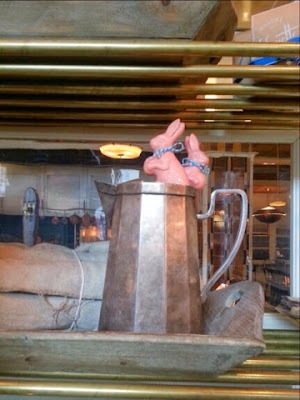 The obligatory chocolate bunny definitely came into play this season. 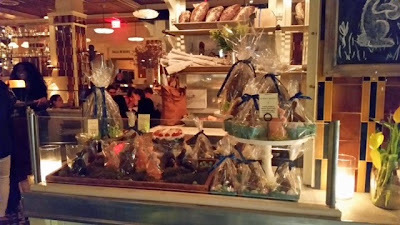 Dark, milk and pink lapins were cast by the dozens and dressed up in bow ties in the bakery's colors. 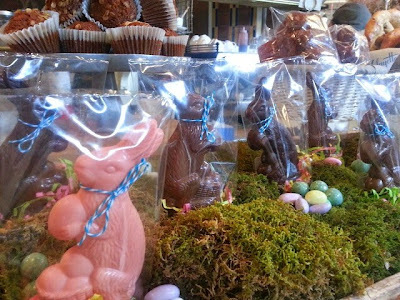 Some bunnies hopped solo in their own sealed bags, cushioned with shredded paper. We fashioned a "bunny run" out of a vintage wood tray and moss. 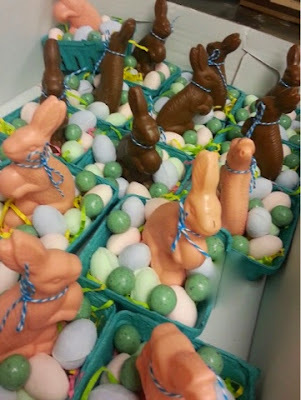 Others got to nest in green paper berry baskets filled with marsmallow eggs and malt balls. 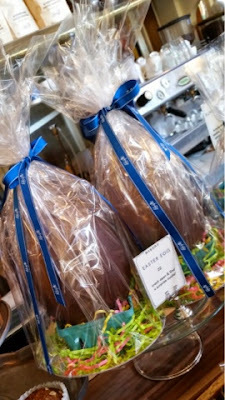 Our 10" tall eggs made quite an impression with fans, intrigued to know what surprise would lie inside. 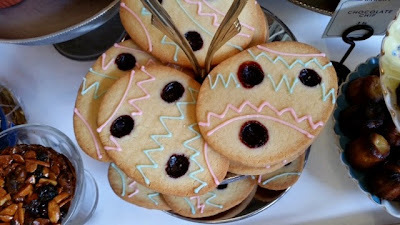 Non-chocolate items included fun egg shaped petits beurres dotted with homemade jam and zagged with a little royal icing. 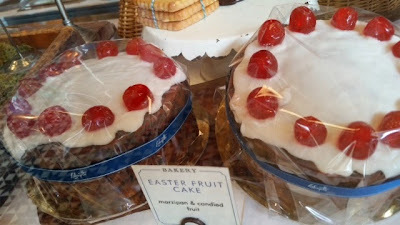 Also on offer, though less popular, happened to be my favorite: fruitcake! Not just for Christmas, guys. Easter fruitcake really is a thing and it's delicious and NOT dry. We loaded ours with Armagnac-soaked fruit and chunks of marzipan that caramelized and almost turned date-like in baking. Overall, I'm happy with what we put out for our first Easter. There is always room for improvement and now, we have about 10 months to start preparing for next year! I am determined to make creme eggs in 2015! !